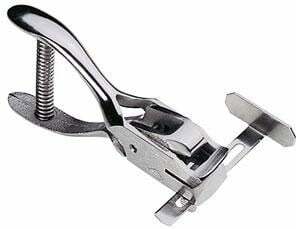 Brady Slot Punches - Photo Id Equipment Supplies, Handheld Slot Punch with Adjustable Guide. Priced per unit. The Brady 3943-1010 is also known as Brady People ID	3943-1010	or 39431010	.